These beans are grown along the Northern shores of the Caribbean Sea in the Dominican Republic. The small region is called Cibao and has unique growing regions which produces delicious coffee. 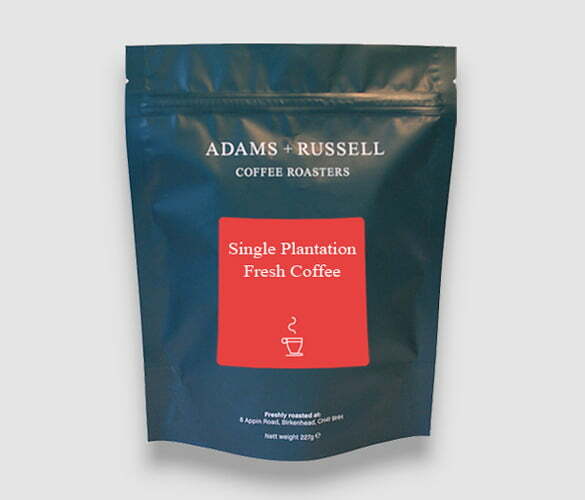 The Caribbean islands are famous for producing premium quality coffee. Not only do these beans have a delicious flavour profile, they are produced by farmers who believe in the importance of sustainable farming. Read on to find out about the history of coffee in the Dominican Republic and how the farm gives back to its local community. Experience the sweet flavours in these beans balanced with a full body and pleasant acidity. The irresistible aroma will fill your kitchen and enhance the experience of your brewing. The high quality of the 100% arabica beans can be tasted in every cup and will give you consistent delicious coffee. These beans are 100% shade grown which allows them to be organically grown with no chemicals, pesticides or herbicides. They are grown at elevations between 900 and 1,900 meters and receive rain all year long which contributes to the premium quality of the beans. The Dominican Republic has come a long way since it first started coffee production in 1715, which at the time it was still a part of San Domingo. We have Gabriel Mathieu de Clieu to thank as he brought over the first plant to the Caribbean. It was an incredible triumph as he experienced a lot of trouble getting them over to his country. It was initially very difficult to persuade the French to give him the trees and the journey was even worse as he encountered saboteurs and pirates. Eventually the trees arrived at their destination and now the Caribbean is known for producing some of the most exquisite beans in the world. Cibao – located in the north of the country and has the highest population. Bani – A small village located in Bourzanga which has a population of just 1853 people. Barahona – The Barahona coast is located on the southwestern part of the Dominican Republic. Ocoa – Also known as San José de Ocoa and located in the north of the Peravia province. Neiba – A city in the southwest of the Dominican Republic that is home to over 53,000 people. Valdesia – Located in the southern part of the Cordillera Central and has the highest altitudes of all the Caribbean islands. This farm that is located in Cibao and is committed to ethical farming in regard to many aspects of coffee growing and harvesting. The owners believe in the importance of the development of sustainable farming and include this in their everyday work. They have a big commitment to preserving natural resources by practising sustainable and organic farming including reforestation and conservation of soil. Not only do they focus on the farm they work at every day, they also give back to the surrounding community. They work to improve life in the local community by building schools, providing periodical medical assistance, improving sanitation and water quality.